Tarpon can undertake migrations that seasonally connect large geographic areas. But there’s another way that tarpon throughout the southeastern US, Gulf of Mexico, and Caribbean Sea are connected: larval mixing. In the spring or summer (depending on location), adult tarpon form large aggregations before they move offshore to spawn. Tarpon spawn by releasing the sperm and eggs into open water. The eggs fertilize outside the body—that’s where the mixing comes in. The larvae are transported by the currents and dispersed down the coastlines. Some larvae are able to find available habitat, but due to the massive amounts of coastal development, some are not. When larvae survive and find viable habitat, they transform into juveniles. Juvenile tarpon inhabit coastal back bays and estuarine creeks that typically have calm waters, low dissolved oxygen, vegetative structure, and a mixture of deep and shallow water. Through BTT’s Juvenile Tarpon Habitat Mapping Project, we’ve found that 86% of reported nursery habitats have been degraded through coastal development, altered freshwater flows, or excess nutrients and contaminants entering the system. BTT studies show that juveniles in these types of habitats exhibit slow growth and move into the estuary at small sizes, which means their chance for survival is low. Tarpon are a long-lived species and reach maturity at about 10 years old. This means that by the time we see a decline in the number of adults resulting from too few juveniles surviving degraded habitats, it will be far too late to save the species. Think of it this way: a Texas-born female and a male form South Carolina meet up in Boca Grande to spawn. Their larvae get carried inshore and end up in an estuarine creek in Tampa Bay, FL. Likewise, when that Tampa Bay juvenile becomes an adult, it can spawn in the Florida Keys and a tropical storm could transport its larvae to a Louisiana bayou. All of these habitats are connected and if we want to conserve our tarpon fishery, we must conserve nursery habitat. Anglers need to be concerned not only about what’s going on in their backyards, but also across the region. Habitat loss is crippling nursery habitats throughout the geographic range of tarpon and our only options now are to protect what is left and restore what we can. Unfortunately, fisheries resource managers currently do not incorporate habitat into management plans. 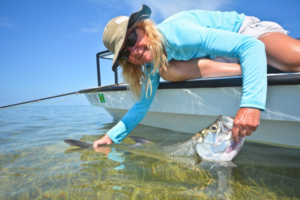 For a species like tarpon that is predominately catch and release, changing slot limits and seasonal closures won’t fix the problem of population decline. Anglers must be the voice for habitat. It is our duty to advocate for habitat protection by contacting our fisheries managers and legislators. We must also conserve habitat ourselves by being conscious of the pollutants that we put into our watersheds (fertilizers and litter), and not destroying shallow areas (seagrass beds and sand flats) when running our boats. These habitats and our fisheries are all connected and by banning together to conserve these critical habitats, we can conserve the fishery for generations to come. This entry was posted in Conservation, Saltwater Fishing on March 20, 2019 by ronniegarrison. Not only the most distinctive feature of a sawfish, the rostrum (saw) also contains vital information. “SawSearch” has taken researchers Kelcee Smith, from Louisiana State University, and Annmarie Fearing and Dr. Nicole Phillips, from The University of Southern Mississippi, to all corners of the U.S. in the search of old sawfish saws over the past five years. Last June, with support from the Shark Conservation Fund and The Curtis and Edith Munson Foundation, this research led them all the way to the United Kingdom. SawSearch is a global initiative to find, photograph, measure, and collect tissue samples from old sawfish saws. Phillips, Fearing, and Smith are extracting DNA from the tissue samples they collect, using the data to assess the relative health of remaining sawfish populations. The DNA from the old saws provides the researchers with baseline information of what sawfish populations were like before they were heavily exploited, which can then be compared to DNA from the sawfish populations of today. SawSearch UK might sound like a leisurely holiday, but most of their time in the UK was spent working in the basements of museums, entering data, riding trains, hauling equipment from city to city, and conducting outreach events. After a year of intense planning, the team spent a total of 30 days in the UK, travelled ~12,000 miles, visited 31 collections, collected data and samples from 528 sawfish specimens, and held 11 outreach events. The rewards of the long days of sampling and travelling came with each collection visited, every specimen pulled from a drawer, and every museum curator they met along the way. Museums play a critical role in all SawSearch expeditions by preserving natural history specimens and revealing the unique stories behind them in their data archives. The people behind these collections, the curators, conservators, and collections managers, dedicate their time to the maintenance of these collections for decades. “We were enthusiastically welcomed into every collection we visited during SawSearch UK and everyone was so excited about our project. After long days sampling, traveling, and conducting outreach, these interactions with the museum staff really kept our energy up,” says Fearing. “During our visits, they went above and beyond by helping us take photographs, record data, searching for extra information, and even connecting us with other curators to help us find more saws. I don’t think there was a museum curator that didn’t offer us tea as soon as we arrived, even though it was 80 degrees outside. They put kindness first and I’ll never forget that,” says Smith. The team also used each visit to a museum as an opportunity to connect with the public, teaching them about sawfish and the importance of natural history collections. They often set up a table right in the middle of museum galleries, answering questions about sawfish while collecting tissue samples from the saws. “Making that connection between museums, the public, and research is one of the greatest things about SawSearch. It’s my favorite part and I know Nicole and Annmarie love it too,” says Smith. In addition to the museums and universities the research team visited, they were also able to find a few saws at some not-so-traditional venues. During their stay in Edinburgh, Scotland, Fearing and Smith discovered a saw in an unexpected place, at a fish and chips shop across the road from their hotel. “As we walked passed a fish and chip shop, I heard Kelcee gasp and then felt her yank me backwards.” says Fearing. “She told me to look inside the fish and chip shop and there, hanging on the wall, was a green sawfish saw.” The next day, they went into the restaurant to talk to the owner, explaining how they had traveled all the way from the U.S. to sample saws just like the one he had on his restaurant wall. The owner was perplexed, but kind, and allowed them to collect a sample; excited to tell the story of how he got the saw and intrigued that it could be used in scientific research. “I mean really, what are the chances that we would find a saw across the street from the hotel? Sawfish aren’t native to the U.K.,” exclaims Smith. One pervasive idea that the researchers came across was that if specimens do not have location data, they are not useful in research. “These saws are valuable to us and there is a longer-term vision for this initiative. The goal looking forward is to be able to take a tissue sample from a sawfish from an unknown location and be able to determine where that animal came from. Such a tool could be used for enforcement purposes, to improve our knowledge of historic sawfish populations and understand how they have changed over time, ultimately translating this data into more effective conservation strategies to promote recovery” says Phillips. 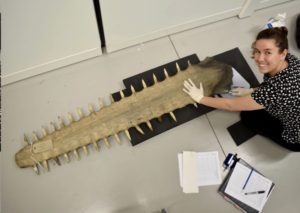 “Not only are sawfish saws without location information still valuable, I hope to go back to these curators one day and tell them where these specimens most likely came from”. “One curator was so happy when we told her specimens without location data are still valuable. She had been keeping these saws in hopes that one day someone could potentially use them and was relieved that she had been keeping them in the collection for a reason. Moments like these are one of my favorite parts of using collections for this project,” says Fearing. You can help! If you own a sawfish rostrum and are willing to donate a small sample for this important research or have seen one somewhere, please call 1-844-4-SAWFISH or email n.phillips@usm.edu. This entry was posted in Conservation, Saltwater Fishing on March 8, 2019 by ronniegarrison. Most restoration projects in the Tampa Bay region are designed to do just that – restore natural systems that had been damaged by humans over the decades. Manatee County is taking a different tack at the second phase of enhancements at Robinson Preserve, one of the county’s most popular parks. Instead of trying to rebuild the native pine flatwoods that once dominated western portions of Manatee County, they’re creating a rich mosaic of habitats specifically to meet the needs of juvenile snook while evolving into future habitats. “We could probably build the most beautiful pine flatwoods in the world – which is a very difficult job – but they wouldn’t be particularly useful,” says Damon Moore, manager of the county park system’s ecological and marine resources division. Due to development and habitat fragmentation there aren’t viable migratory pathways from other pine flatwoods for many species to naturally repopulate. Sea level rise would also threaten pine flatwoods in the future. On the other hand, the expansion at Robinson Preserve is the perfect location to build juvenile snook habitat, a highly charismatic species that has very specific needs to survive its first – and most critical – year after spawning. Starting from scratch on land that is currently uplands allowed the county and its multiple partners to resculpt the property to meet those specific needs. At the same time, creating wetlands also provided fill material to build higher land that will stay above water as sea level inches higher, Moore said. “We’re creating upland habitats now that we expect to evolve as sea levels rise while still providing maximum ‘edges’ and gentle slopes that will become habitat for juvenile fish as well as birds now,” Moore said. It’s not the first time habitat hasn’t been replaced by “like with like” because scientists are focusing on the oligohaline – or low-salinity – habitat that is most at risk with sea level rise, notes Stephanie Powers, staff environmental scientist with the Southwest Florida Water Management District’s SWIM (Surface Water Improvement and Management program). “Those low-salinity habitats are critical to juvenile fish,” she notes. Trees growing in the uplands being transformed to wetlands were very carefully placed in the project area to provide the detritus that fuels the growth of fish at the bottom of the food chain as well as hiding places for snook and other juvenile fish that will grow up to become recreationally valuable resources. Working with Tim McDonald, a research scientist at the Florida Fish and Wildlife Conservation Commission as well as fisheries experts from Mote Marine Laboratory, Manatee County hopes to quantify the benefits of improving habitat specifically for fisheries. Along with benefits to wildlife through carefully planned habitats, multiple human enhancements aimed at the 300,000 yearly park goers are planned. Multiple trails, including separate areas for bicyclers and walkers or runners, are planned along with kayak launches conveniently located near the parking lot. A giant treehouse – called the NEST or Nature, Exploration, Science and Technology Center – is open for educational programs and private events. 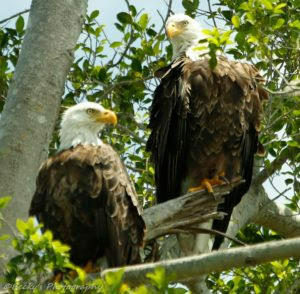 Birders already abound at the park, which features nesting eagles and multiple species of herons, storks, ducks and pelicans – along with occasional rarities including bald eagles and roseate spoonbills. The $17 million expansion is underway with funding and support from multiple regional and national agencies. The land was purchased by the Conservation Foundation of the Gulf Coast, restoration funded through the SWFWMD, the National Oceanic and Atmospheric Administration and the Environmental Protection Agency (in part through RESTORE Act dollars awarded to the Tampa Bay Estuary Program) and the Tampa Bay Environmental Restoration Fund, as well as several county agencies including the tree trust fund, general revenues and phosphate severance fund. Volunteers also play a major role in the reconstruction and maintenance of native plants. It’s been the site for multiple events hosted by the Tampa Bay and Sarasota Bay Estuary Programs. When a “champion” gumbo limbo tree at De Soto National Memorial Park blew down in Hurricane Irma, volunteers rooted pieces of the 80-year-old tree and transplanted them to higher ground at Robinson. Proximity to open waters. Adult snook spawn in the Gulf, and the juveniles instinctively search for nearby low-salinity backwaters. Food sources. 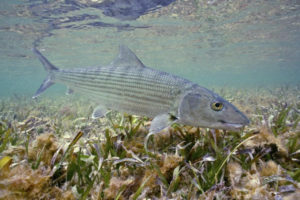 Shoreline vegetation and woody debris boost the abundance of fish like minnows, small shrimp, mosquito fish and small crustaceans that feed on detritus – which then become food for snook. Energy conservation. Because juvenile snook can grow as quickly as 0.15 millimeters per day, they need to turn food into body weight. Their ideal habitat is protected from wave and wind energy. Thermal refuge. Snook of all ages are very temperature sensitive and will die if temperatures drop to below about 50 degrees. To keep them warm, the preserve will include holes where water temperatures are less likely to fluctuate and variable bottom colors that reflect or absorb heat. Protection from predators. Snook are dominant predators once they’re adults, but as juveniles, they’re easily eaten by other fish. The waterfront entrance to the preserve is designed to provide physical barriers for large fish as well as places for the smallest fish to hide because they can be cannibalized by larger juveniles. Eye protection. Juvenile snook have sensitive eyes and need vegetation to shade themselves. The preserve’s vegetation is being planted to meet this need, with artificial shade provided as necessary. This entry was posted in Conservation, Saltwater Fishing on January 11, 2019 by ronniegarrison. Katie Ribble has always grown up around the water. That experience provided the foundation for a future career in marine and environmental sciences. While working on her Master’s degree under Dr. Michael Parsons (director of Florida Gulf Coast University’s Coastal Watershed Institute and Vester Field Station), Katie’s efforts have landed her the first-ever John Cassani Fishery Research Scholarship from the Angler Action Foundation (AAF), a not-for-profit conservation group based in Florida. Katie’s work certainly fits that bill. Among other things, she is delving deep into how pinfish feeding behaviors change in relation to factors such as water temperature. Throughout their lifecycle, pinfish eat a good variety of things, from tiny zooplankton to other fish to shrimp. (Maybe you’ve encountered one or a thousand pinfish as you sought out seatrout, red drum or snook in the grass flats during your fishing career in Florida.) Pinfish are also grazers of grass and algae – and during certain periods of their lifecycle those can make up the bulk of their diet. Serving as a primary forage species in Florida, pinfish are a critical part of the food web. Understanding more about their diet, and whether environmental factors such as water temperature trigger an increase in feeding activity, will help us better understand how pinfish fit into Florida’s complex marine systems. But Katie’s research goes even further. Unknown to many, there is a lot more going on with the grass and algae that pinfish are eating. Ever notice that fuzzy, sometimes sort of slimy, coating that adorns the seagrass or algae you are constantly plucking from your jig or lure that is weighted too heavy? Turns out, that slimy stuff has a very interesting and important story. One of the dinoflagellates (in this case, a marine plankton) that is included in that community of microscopic plants and critters that make up the fuzzy slime is Gambierdiscus spp, which is the only known source of the toxin that causes Ciguatera fish poisoning. If you’ve never heard of Ciguatera before, you aren’t alone. It is the most frequent seafood poisoning, yet we know relatively little about it. Katie explained that may be because people are unfamiliar with the symptoms and likely source/cause, they may just think they had ordinary food poisoning. Symptoms can include diarrhea, vomiting, numbness, itching, sensitivity to hot and cold, dizziness, and weakness – a list that certainly could be mistaken for any number of maladies. Which leads us back to pinfish, turtle grass, and the shallow blissful waters of the Florida Keys. Katie noted that the presence of Gambierdiscus in our waters is nothing new, and this research is not intended to stir up a new scare. In fact, it is a global phenomenon and there are records from the Chinese T’ang Dynasty (618-920 AD). Just last month there was an international conference dedicated to the toxin in France. If you have heard of Ciguatera, it is probably because you know someone who was diagnosed or maybe visited an area with a tropical reef associated with high concentrations. The point is Ciguatera was only a factor for those who risked eating fish from specific areas. Barracuda is one of the fish associated with the toxin, as are some groupers, moray eels, and other reef fish. Barracuda? Remember that time, in between picking fuzzy seagrass blades from your jig, a flash of silver streaked past and just like that your lure or bait was gone – line sliced so cleanly you never even felt a tug? Yep – that was probably a barracuda. Who eat pinfish. Who eat grass coated with yummy brown slime. Already, Katie’s research has uncovered some interesting tidbits. While establishing a baseline for her new pet pinfish feeding behaviors, Katie took some turtle grass and a species of Halimeda, a native calcarious green macroalgae from an area in the Keys known to have a particularly strong strain of Gambierdiscus. Part of the first step was to strip the grass and algae clean of all of the fuzzies to see how the pinfish grazed on the clean plants. What Katie found there surprised her. “It seemed that the fish in my tank would rather starve themselves than eat the clean grass,” she said. In other words, without the brown slimy stuff as dressing, turtle grass salad is not on the pinfish menu. Katie isn’t sure why that is. “Maybe they can’t digest the plant without them,” she offered. As she moves forward, she hopes to uncover other aspects that lead to increased pinfish feeding in the wild. Combined with simultaneous work in Dr. Parson’s lab at FGCU, where he is guiding other students to answer questions such as whether there are normal fluctuations of the Gambierdiscus blooms, and/or whether there are factors that might trigger an unnaturally large bloom. The information might help us understand how the toxin moves up the food chain and across a variety of habitats. As Katie talked about her early findings, it became easy to see that she settled into the right career path. Her enthusiasm is contagious (Ciguatera is not, by the way), and it is very promising for all of us who are optimistic that we’ll become better stewards of our marine and fresh water habitats. Research like Katie’s points to just how completely all these habitats depend on each other, and that there is a lot of communication between them. Katie hopes to use her AAF Don Cassani award of $1000 to help pay her way to conferences where she can share her findings. AAF encourages you to support the Cassani Scholarship Fund. Any donations made HERE will go directly to the fund and be excluded from all other AAF projects. If you have questions about the program or wish to nominate yourself or another graduate student for the 2019 award, please email Brett Fitzgerald (brett@angleraction.org). In 2010 a memorial fund was created to commemorate the life and passion of Daniel J. Cassani, with the mission to support and promote marine fish research and conservation. All donations made to AAF in this link will go directly to this fund. The Angler Action Foundation, based in Florida, is dedicated to conserving our fish, their habitats, and sensible recreational angler access. Angler Action is a 501c3, founded by William Mote. Our primary service project, iAngler, is the first and only database owned by fishermen that contributes directly to state-level stock assessments. Our mission is to continue to help improve fishery research, educate ourselves, other anglers and fishery managers, and continue with best conservation practices. This entry was posted in Conservation, Saltwater Fishing on December 28, 2018 by ronniegarrison. This entry was posted in Conservation, Saltwater Fishing on December 21, 2018 by ronniegarrison. At a recent workshop, Marine Recreational Information Program partners discussed how data collected by general and specialized recreational fishing surveys can help deliver more timely and precise catch estimates for Gulf red snapper. The Marine Recreational Information Program (MRIP) partnership took another step toward delivering more timely and precise estimates of Gulf of Mexico recreational red snapper catch and effort. At a September workshop co-hosted by MRIP and the Gulf States Marine Fisheries Commission, scientists and managers from state agencies, the Gulf of Mexico Fishery Management Council, NOAA Fisheries, and independent statistical consultants sought to identify the best way to use data collected by specialized and general state-federal surveys to monitor recreational catches of Gulf red snapper, as needed to support stock assessments and fishery management. 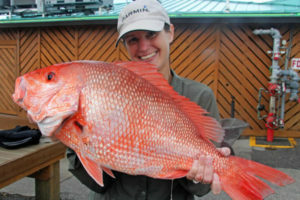 The Red Snapper Survey Designs Workshop IV was the latest in a series, dating back to 2014, focused on finding ways to better monitor catches during short federal and state fishing seasons for one of the Gulf’s most popular fish. NOAA Fisheries and its Gulf state and regional partners have spent the past several years working closely to develop survey designs that address federal and state management needs for more timely and statistically precise catch statistics. 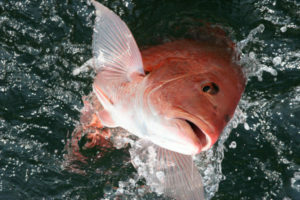 Since last December, NOAA Fisheries has certified designs for three surveys in the Gulf of Mexico: Louisiana’s all species, general survey, LA Creel; Mississippi’s red snapper-specific Tails n’ Scales; and Alabama’s red snapper-specific Snapper Check. Florida’s Gulf Reef Fish Survey, which supplements MRIP’s general surveys for a limited group of reef fish species, is expected to be certified later this year. Each survey uses a different methodology to gather data and produce estimates based on the unique characteristics of the state’s fishery. The MRIP state surveys are designed to improve regional monitoring of the recreational red snapper catch and effort. Estimates from these surveys can be used for federal scientific stock assessments and fishery management once there is a transition plan that describes how to integrate state and general data, and how to calibrate new and historical catch and effort estimates. During the workshop, participants were introduced to several options for integrating data collected by the specialized and general MRIP surveys and for calibrating estimates generated by the new integrated survey approaches against estimates based only on the general surveys. Calibrations will be needed to ensure that red snapper catch estimates produced by different survey designs can be converted into a common currency for use in stock assessments and management. As a next step, the Gulf States Marine Fisheries Commission will coordinate the delivery of survey data and estimates to a team of independent statistical consultants who will explore the integration and calibration methodologies put forward at the workshop. The need for a follow-up workshop to present and discuss the results of the analysis is under consideration for early 2019. A workshop summary is being prepared and consultants are expected to provide a report following the completion of their analysis. This entry was posted in Conservation, Saltwater Fishing on December 6, 2018 by ronniegarrison. Goliath grouper (Serranidae: Epinephelus itajara) occur in tropical and subtropical waters from the west coast of Africa to the east coast of Florida, south to Brazil, and throughout the Gulf of Mexico and the Caribbean Sea. One of the world’s largest groupers, this species can grow to over 7 feet long, exceed 750 pounds, and live at least 37 years. Goliath grouper grow slowly, mature relatively late (4-6 years old), and aggregate to spawn. Harvest of goliath grouper was prohibited in U.S. waters in 1990 after a noted decline in population numbers. In 1994, they were listed as critically endangered on the IUCN World Conservation Union’s Red List of Threatened Species (www.iucnredlist.org). Goliath grouper are currently protected from harvest in U.S. waters though there are fisheries for goliath grouper in some countries. The status of the species throughout its entire geographic range is unclear and there are many factors that increase goliath’s susceptibility to overfishing. For more information regarding goliath grouper biology and regulations, please visit the Goliath Grouper Web section. Protection from harvest does not ensure that fishing mortality is negligible. Recreational fishing charters throughout Florida advertise goliath grouper as a prime target species for catch-and-release fishing. 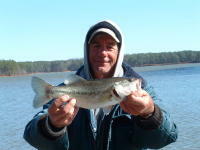 A fish of this size produces a challenging and exciting fight on rod and reel. Goliath grouper are also often caught unintentionally during angling efforts for other reef species. While their primary diet consists of slow moving, bottom-dwelling species, they are opportunistic predators that occasionally feed upon a struggling fish being reeled in by anglers. To date, the effects of catch-and-release angling on goliath grouper have not been established. 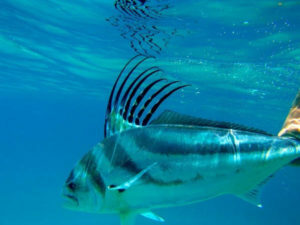 As with many reef fish, angling at deeper depths may result in gas expansion and extensive boat-side handling that can cause injury or mortality. Additionally, goliath grouper often remain at the same sites for extended periods, so repeated capture events may affect their survival at heavily fished sites. To describe the effects of catch-and-release angling on the survival of goliath grouper across a range of depths. To quantify the long-term behavioral patterns and residence times of goliath grouper within the study area. Acoustic telemetry and conventional tagging will be used to assess both immediate and long-term effects of catch-and-release angling and to provide data regarding residency and behavior of this protected species. Goliath grouper are known to remain in the same area for extended periods, and they have a tendency to aggregate around habitat such as shipwrecks. The monitored shipwrecks in this study (Figure 1) have been chosen based on ongoing research that indicates consistent goliath grouper presence. Quantitatively assessing the effects of catch-and-release angling for goliath grouper, in addition to continued investigation into population dynamics, movement patterns, and stock structure, will provide valuable information for future management or regulation. Goliath grouper are caught using typical recreational fishing gear. Once at the surface, goliath grouper are left in the water and positioned at the side of the boat so that they can be measured, photographed, and fitted with tags. Two external tags are inserted just beneath the dorsal fin. The first is a conventional ID tag (Figure 2), and the second is an acoustic transmitter, or “pinger” (Figure 3). Each pinger has its own unique code that will allow for the identification of individual fish. Goliath grouper are tracked manually immediately after release, which provides information regarding short-term survival and behavior after a catch-and-release event. Two to four acoustic receivers (hydrophones) are permanently deployed at each monitored shipwreck. Each receiver has a listening area of approximately 500,000 square meters, or 124 acres. 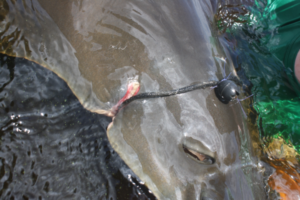 Whenever a tagged fish swims within listening range (Figure 4), a hydrophone will record the fish’s individual ID as well as the time, date, and depth of the fish within the water column. These data will yield information regarding long-term movements and behavioral patterns of goliath grouper at the study sites. Conventional external ID tags are attached to each goliath grouper to provide recapture/resighting data through diver surveys and angler recapture reports. Any tagged fish that are observed should be reported to the Florida Fish and Wildlife Conservation Commission’s (FWC) Angler Tag Return Hotline, 800-367-4461. Researchers need to know the date and location of the sighting and the relative condition of the fish. Movement and behavioral data will indicate the effects of catch-and-release fishing on this reef species. Minimum estimates of survival immediately after a catch-and-release event can be assessed. Long-term acoustic telemetry data will allow for estimates of residence time for individuals at specific sites. Continued underwater surveys will provide further information regarding abundance, size distribution, and seasonal patterns for goliath grouper within the study area. 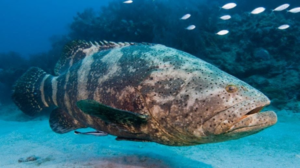 It is the goal of this project to synthesize these data for a better understanding of goliath grouper biology and ecology that can support the development of responsible and effective management. This entry was posted in Conservation, Saltwater Fishing on December 4, 2018 by ronniegarrison. How Are Biologists Keeping Tabs on Migratory Sportfish? New York, NY ( – There has never been a more critical time to learn about the marine fisheries that we rely upon for sport and commerce. Such research faces significant headwinds, as many of the target pelagic species frequently migrate hundreds, if not thousands, of miles during the course of their lives, and public resources to support detailed population studies are limited. Nevertheless, anglers and scientists have forged a unique partnership – Gray FishTag Research – in an effort to gather high-quality data on marine fish population dynamics, migration patterns, growth rates, habitat preferences, and more. This entry was posted in Conservation, Saltwater Fishing on November 15, 2018 by ronniegarrison.